Plenty of reference for the WWI German Parabellum and Bergmann machine guns as well as others;1:12 scale drawings and over 40 photos, one in full colour. 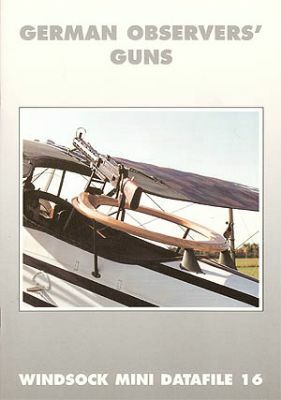 An excellent resource written and illustrated by Harry Woodman,an acknowledged expert in the field of early aircraft armament systems.A must for all serious enthusiasts! Windsock Mini Datafile 6 by Harry Woodman provides many detail photos. Williams Bros. 1:6 scale Parabellum machine gun kit-ideal for flying scale models or as a display piece in its own right. Includes vinyl ammo belt.